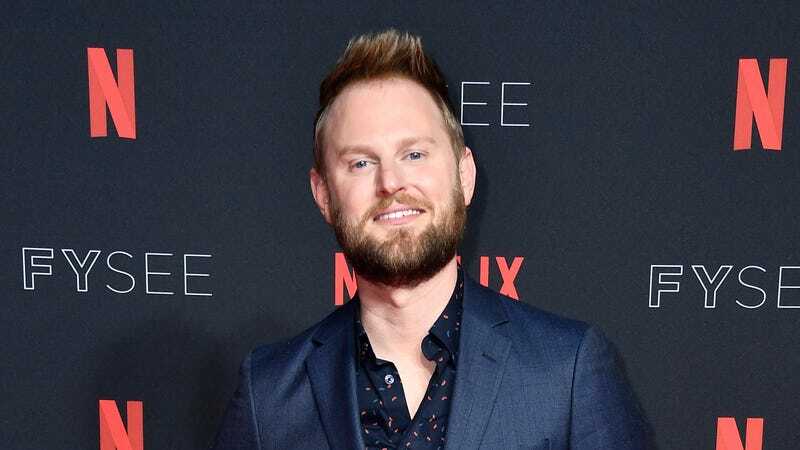 While watching the second season of Queer Eye I decided that Bobby Berk is my favorite one (after Jonathan, who is everyone’s favorite by default) mostly because A.) I have an obvious respect for grown men who go by Bobby as adults, and B.) I came to the realization that in addition to being Bobby, I am probably “a Bobby”—just a regular ol’ Bobby—due to the fact that I lack Karamo’s grace, Jonathan’s confidence, Antoni’s biceps, and Tan’s fashion sense. Also maybe I could see myself throwing hamburgers at someone who called me a “rude” name. Per documents published by Radar Online this week, Bobby Berk was once arrested for disorderly conduct (a charge later amended to “misdemeanor receiving stolen property”) and ordered to do 100 hours of community service for chuckin’ burgers at the staff of a Florida restaurant. While in Miami with a group of friends, Berk entered a sushi restaurant at 12:18 a.m. and suddenly became involved in a “verbal/hamburger throwing incident,” according to an arrest report. Bobby was clearly in the wrong here, and—oh my god!—never be rude to people in the service industry unless, you know, they do something as indefensible as calling you a slur for no reason. (That does not appear to be what happened here.) But after throwing burgers like a petulant child and causing a scene, he did his time, grew from the experience, and went on to bigger and better things! I guess being a Bobby ain’t so bad.